The New Albany School Board of Trustees approved the hiring of both a new Athletics Director and a new Head Football Coach at its monthly meeting on June 4. Todd Lott will serve as Athletics Director; Cody Stubblefield will be the new Head Football Coach. Todd Lott has more than twenty years of experience as an athletic director in both private and public schools. 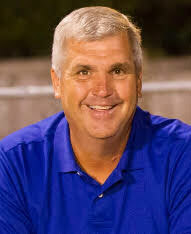 Lott has experience coaching football, soccer, and track in various capacities at the private school, public school, and community college levels since 1988. Most recently he served as Head Football Coach and Athletic Director of Saint Joseph Catholic School in Madison, Mississippi. “We are pleased to welcome Coach Lott to New Albany High School and look forward to him leading our athletics program. His experience in athletics administration and in coaching will be a tremendous asset to our student-athletes and our coaching staffs,” said John Ferrell, New Albany High School Principal. Lott holds a Bachelor of Administration in Accounting and a Master of Education in Administration from Delta State University. He completed the Teach Mississippi Institute Program through Delta State as well. He and his wife, Annie are the parents of two daughters and one son: Morgan is in Physical Therapy School; Katie Beth is a senior at Delta State University; and Charlie is a high school junior. 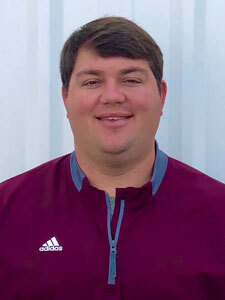 Cody Stubblefield, named the Head Football Coach for the New Albany High School Bulldogs, replaces Jake Hill, who resigned earlier in the spring. Stubblefield returns to the school where he got his coaching start. His stint at New Albany included the stellar season of 2010, when the Bulldogs went 13-1. He returns to New Albany from Tupelo High School where he has served as the Offensive Coordinator for the past two seasons. While serving at Tupelo, the team comprised a 23-2 record. This past season, Tupelo led 6A in scoring. Prior to his stint in Tupelo, Stubblefield coached four years as the offensive line and run game coordinator at Lafayette High School where they compiled a 38-18 record. Stubblefield is a 2005 graduate of North Pontotoc High School where he garnered many awards and was the first athlete to sign a Division I scholarship. He began his college career at Itawamba Community College where he started every game and was named an All State and All American Offensive Lineman. He continued his playing career at the University of Memphis where he started every game his senior year at left tackle. Coach Stubblefield and his wife, Emilee, have one son, Ray who is six weeks old.